Synopsis: An Elven teaching about a difference between “smart” and “wise”, finding the guidance messages for upbeat love emotions, the grand importance of sharing emotions, 7 upbeat emotions to share and use for practice in getting your personal guidance messages and more. “The smart learn from their hurts, agonies, disappointments and despair. Natural, good feeling emotions can give us great guidance. Natural, good feeling emotions tell us that we are doing something probably healthful and right for us to do. Shared natural, good feeling emotions guide us toward more and better bonding together in love relationships. Natural, good feeling emotions can teach us a great deal about ourselves, our relationships and how to make both stronger and more successful. It is our job to learn how to get the guidance messages of our natural, good feeling emotions and use them for higher, greater and more wonderful love. Feelings, both physical and emotional, are ancient, natural guidance systems working for our safety, survival and advancement. They are far older than are reasoning and conscious thought. In relationships and especially love relationships our emotional system of feelings often gives far wiser guidance than do reason or contemplation. However, it is even more advantageous when we use our thinking and reasoning abilities with our emotions because that gives us the very best guidance our incredible brains can produce. Of even greater benefit is when two or more people in a love relationship share in a simple, ‘four step process’. First comes sharing their emotions, second is searching for and discovering the guidance messages in their emotions and sharing them with one another, third comes sharing and synthesizing their thinking about the feelings and the guidance message, and finally comes acting in teamwork with one another from what they have discovered from sharing and synthesizing. Synthesizing means to interweave together the guidance messages of the emotions and actions stemming from those guidance messages. Here’s a simple example. Harriet feels cold and understands her feeling guidance message is to “warm up”. Charlie feels hot and understands his guidance message is to “cool down”. Instead of arguing about whether or not they’re going to turn up or turn down the thermostat they synthesize their guidance messages, so Charlie takes off his shirt and hands it to Harriet who puts it on. Charlie is cooler, Harriet is warmer, and both are happier in their harmony together via sharing feelings and their guidance messages and arriving at ‘synthesis’. There are a number of good things that come from sharing emotions and together discovering the guidance that those emotions give. Here’s the biggest and most wonderful part of that. Sharing emotions together may result in the most significant relationship experiences people have together. 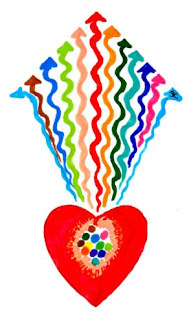 By lovingly sharing both the emotions we call “good” and the ones we call “bad” continued emotional connecting and bonding tends to become ongoing. Without that sharing, emotional connection can fade and love relationships may die. Sharing the emotions of good times and bad times, but especially the upbeat, good times tends to strengthen a couple, or a family, or friendship, or any other human unit. Sharing upbeat feelings is more easily enriching to humans who love each other, but sometimes through sharing hurts there is deep connectedness also. Without the sharing of good, happy, upbeat emotions the continued strengthening and enrichment of a love relationship is very hard to achieve. Many people do not know that sharing good or upbeat emotions is just as important, if not more important, than sharing the ‘downer’ emotions of pain and displeasure. While sharing pain tends to lessen the pain, sharing good feelings provides motivation to be together, stay together and move forward together. Sharing good or upbeat feelings also provides knowledge, for those who know to learn from it, for how to repeatedly achieve good feelings and the enrichments, health and well-being that natural, good feelings bring. Consider the statement “Date your mate or lose your mate” (see blog entry “Date Your Mate – Always!”). It is in the shared joys of recreation that couples, families, and others are re-created as the word recreation indicates. 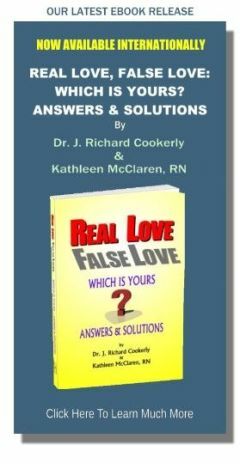 Therefore, dates, vacations and other ‘upbeat’ emotional experiences are vital to the healthful continuance of love relationships. Of course it is really best and highly important to share both the feelings we call “good” and the feelings we call “bad” which enable us to better get the guidance messages of them all. In a sense all feelings are good because all feelings give guidance. The ‘team’ we call a couple, or a family, or a friendship, like any team, needs shared guidance. Otherwise one part of the team doesn’t know what the other part of the team is all about and, thus, teamwork fails. It is a simple truth that within a team shared guidance works far better than un-shared guidance and that’s why it is important that all the team members join in sharing their feelings with each other. Only then can all share in the guidance those feelings can give. Here is an example. His strong emotions were pushing him toward adventure. Her strong feelings were for safety. With love they shared their emotions, and with wisdom they synthesized the guidance messages they got from their feelings. Mountain climbing, starting with a modest mountain, became the most exciting thing they had ever done together and the shared excitement, shared adventure and the shared awe of grand vistas bonded them together like little else could. She was so thankful for his spirit and desire for adventure because it brought her worlds she never knew and ecstasy she never imagined experiencing. Her own emotions of fear, anxiety and foreboding motivated her request that they start with a not too difficult ascent and also that she bring an extra well-equipped first-aid kit, which contained the necessary items that saved his life when a rattlesnake bit him as they were descending the mountain. He was so thankful that her emotions guided her to the safeguarding actions that saved his life. Shared fears and desires lead to following the guidance messages that lead to both of them surviving adversity and to a grand and enriching shared adventure. It also brought them closer together and strengthened their mutual love experience. He at first had thought her safety concerns were a bit excessive. She quite definitely thought his adventure desires were excessive but with love, hope and certain safeguarding actions she went forward with him. Both came to feel very glad for being able to understand the guidance their emotions gave them. So, are you learning the guidance messages and teachings hidden in the wisdom of your emotions? (For more information about the guidance messages of emotions see the entry “Dealing with Love Hurts #1 – Pain’s Crucial Guidance”) Are you especially learning from your upbeat, happy emotions? With a loved one, together are you sharing those emotions, jointly learning their guidance messages, and weaving together what you learn? Do you actively seek to learn the feelings of those you love and ascertain the guidance messages and teachings in the feelings of your loved ones? Are you good at synthesizing yours and your loved one’s emotional guidance messages? To help you toward doing these things here are five types of ‘good’ or pleasant to experience emotions, and typical learnings or guidance messages ‘wise people’ — or elves — sometimes get from these good feelings. 1. Emotion: Serenity: Possible Guidance Message: Here is restoration, so linger with it and soak it up. Whenever you’re stressed, hassled, anguished or just drained learning from your serenity could help you remember what you did, and how you behaved, and where you went that got you to serenity and to its highly restorative enrichment so that you might do it again. If you share your feelings of serenity with a loved one they may also feel some serenity or feel more connected with you and your current serene countenance, plus they could learn the same thing you’re learning from that feeling. A loved one might also notice and remind you when you need to do those things that lead to your restorative serenity. 2. Emotion: Joyful Anticipation: Possible Guidance Message: Go forward, let yourself get into the anticipated experience fully, soak it up and be enriched by it. Sharing it with a loved one may help them have a good feeling of joyful anticipation also, and that may double both your pleasures, helping to connect you with your loved one more fully. 3. Emotion: Tenderness: Possible Guidance Message: Feeling tender toward someone can guide you to show and share your feeling softly, delicately, slowly and somewhat carefully. The guidance coming from tenderness can lead you toward a more intimate connection with someone you love. 4. Emotion: Affection: Possible Guidance Message: feeling affectionate can guide us to lovingly touch, say words of affection, give and act with affectionate affirmation, and actually be far more in touch with experiencing what is wonderful about a loved one. Done well, expressed affectionate feelings are often highly rewarding to both the lover and the loved. Received well, affection is often energizing, thus, boosting a person’s experience of you, themselves and life. 5. Emotion: Pride: Possible Guidance Message: Feeling pride guides you to be more confident in either ‘your being’ or ‘your doing’ accomplishments. It also may get you to store up that confidence so that you can accomplish more. Pride may help you honor yourself which will tend to strengthen your self-esteem, your sense of worth, and be more motivated ‘to own’ your okayness and, therefore, attempt more in your life. Accurate pride also may counter low self esteem, poor self concept, and a general sense of inadequacy, along with encouraging independence and self-assertion. (Note: Accurate pride in yourself is always the enemy of that which is dictatorial and controlling). It is important that everyone work to get their own guidance messages from their own emotions because the guidance messages can vary to a fair degree from person to person. Generally the guidance message in all so-called “good” feeling emotions is to keep doing the actions or thoughts that brought the feelings, until boredom comes along to tell you to do something else. The general guidance message in most emotions known as “bad” feelings is to do something different, usually right away. But as you can see from the above examples of upbeat emotions there is a lot more ‘wisdom’ to be learned and lived by in the “guidance messages for the wise”. You and a loved one might want to talk about what you think the guidance messages could be for both of you together when experiencing the following ‘upbeat’ emotions: 1. Awe, 2. Joy, 3. Sweetness, 4. Closeness, 5. Tickled , 6. Ecstasy & 7. Respect. Will you identify and share with a loved one the strongest two emotions you have felt so far today, and together see if you can discern what the guidance messages in those feelings might be?